Hitman 2: Silent Assassin, released in 2002 by Io Interactive, is the best-­selling Hitman game to date. Compared to the notoriously cheesy and dated Hitman: Codename 47 which was exclusive to the PC, Hitman 2 made its way to the Xbox, PlayStation 2 and Xbox as well. Campy writing, silly voice acting and (mostly) braindead AI was tossed out of the window, mercifully. Unfortunately, the game is certainly showing its limitations these days. The game offers a bit of a plot at the start, with nothing much transpiring in the middle aside from cutscenes with characters hidden in the shadows, and a grand reveal at the end about what is going on. 47 has retired in a church in Sicily. His friend, Father Vittorio, is kidnapped by a group of mafia men, and so the Hitman decides to rejoin the ICA and continue his career as a professional assassin in hopes of getting more information on the priest’s whereabouts. The game’s graphics are pretty damn good, utilizing some well­animated cutscenes for its time. As mentioned before, the voice acting has improved. The amateurish writing has been replaced with something truer to a film noir style of writing, and 47’s iconic voice actor, David Bateson, captures the role of the calculative and intelligent killer perfectly. Diana, 47’s informer, will brief him on missions with excessively long and boring mission briefings. Other characters sound less like random members of the developent team poorly imitating Russian or Indian accents, mercifully. To achieve the best ratings and earn some exclusive weapons in the process, the player must avoid being seen and firing bullets. Killing few guards as possible is wise, and swapping through disguises will help 47 access restricted areas. Guards may see through disguises if the player is acting suspiciously, such as running around or waving guns around like a moron. Clean kills with weapons like the trademark fiber wire and poisons are recommended. Knocking civilians out with a non­-lethal anaesthetic is a new, if underpowered, inclusion as well. It’ll keep someone asleep for a handful of minutes, long enough for a quick disguise change. So why doesn’t the game hold up well these days? One reason is the dated A.I. It’s just so twitchy. Accidentally sprinting past a guard may result in them gunning you down for no clear reason. If you try to sneak behind people, they will undoubtedly turn around before you are able to throttle them, so the best tactic is to rush behind them to slit their throat quickly or to knock them out with some chloroform. Getting so far through a mission only to have the score impacted because of a guard acting like a paranoid prat is so irritating. As for the missions, about 50% of them are good, whilst the rest are glitch­filled chores to go through. 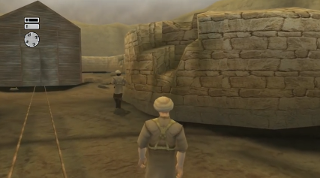 Missions in India and Malaysia offer some variety in completing the hits, whilst the missions in Japan are barbarically boring, requiring the player to dodge snipers and keep away from guards who will rush up to players if spotted, only to have their cover miraculously blown by the enemies’ unusually high level of omniscience. 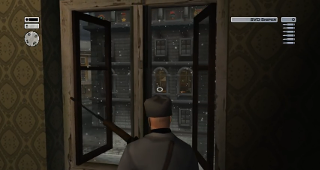 Others, like three of the four missions in St. Petersberg, are particularly linear and lack much variety in how the player can execute the targets whilst still being given a chance at a rare Silent Assassin rating. Undoubtedly, the best feature of the game that has certainly remained fresh is its soundtrack, composed by Jesper Kyd. Using The Budapest Philharmonic Orchestra was certainly an excellent decision, for they helped Mr. Kyd craft a large collection of great tunes that brim with heroism and wonder, enchanting listeners with many great compositions. A very minor criticism is that the soundtrack could have done with some more tracks with the Latin­speaking choir (who sang in the brilliant main theme of the game) in the background for a more ominous feel to it all. Hitman 2: Silent Assassin is a tough nut to crack these days, meaning new players will definitely struggle to get an understanding of the game’s limitations, which may end up in them either exploiting the dated engine (just as running up to an enemy and slicing their throat to avoid an alert) or just blasting their way through to win the level. With a mish­mash of mediocre or restrictive missions alongside a handful of gems, twitchy artificial intelligence and long­-winded briefings, Hitman 2 is just not much of a hit by today’s standards. Regardless, the soundtrack is undoubtedly the best feature of the game, so be sure to give it a listen.